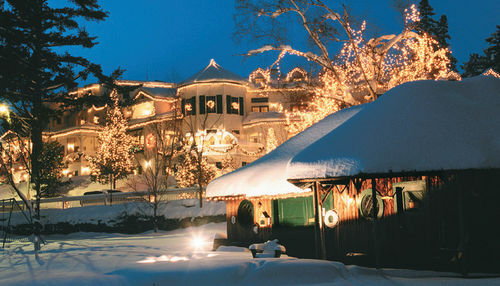 Located in the Majestic Adirondack Mountains of Upstate New York and the Olympic Village of Lake Placid. The Mirror Lake Inn is a gracious traditional Inn on the lake shore with all the amenities of a modern resort. Warm mahogany walls, polished walnut floors, marble, and stone fireplaces, antiques and chandeliers provide a cozy atmosphere and understated elegance. Guest rooms range from comfortable and cozy colonial bedrooms to luxurious Placid suites. Gift certificates are the perfect gift that is easy to give.